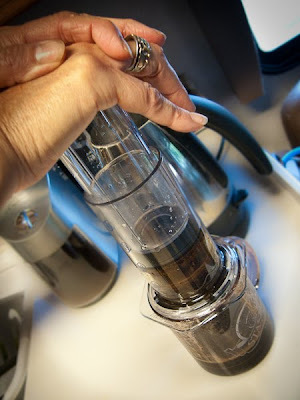 Our trusty french press glass carafe bit the dust or maybe I should say, hit the sink. This french press is the only coffee maker we have so I was forced to drink hot tea with my oatmeal this morning. I like tea. 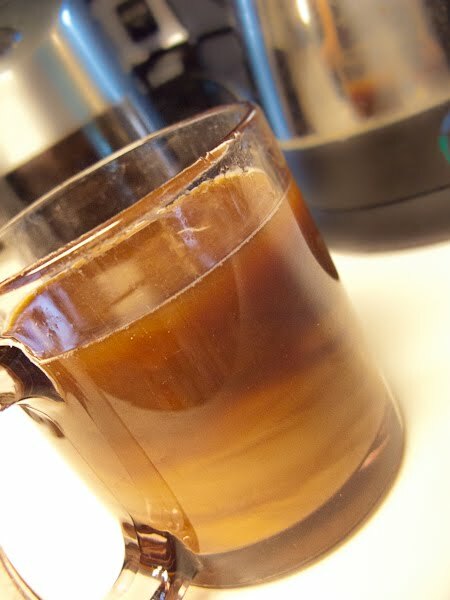 There are times I love tea, but I love coffee especially in the morning. So we drove into Port Townsend hoping we could find a replacement carafe. Port Townsend is a small town but we remembered a couple of kitchen gadget stores along the main drag. The first store we went into had a lot of (pricey)gadgets but no Bodum carafes. The second store had the replacement we needed. The price sticker said $20. Huh, we didn't pay much more than this for the entire french press. We almost bought it anyway until the saleslady showed us this. We had mentioned to her earlier that we lived in a motorhome and she thought this would be perfect for us. 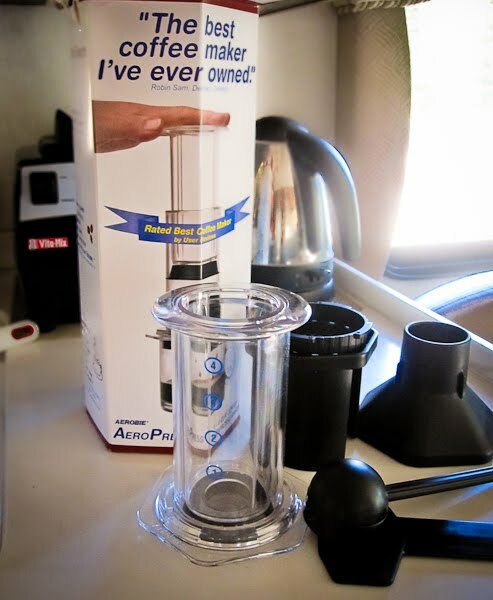 We had never heard of the AeroPress but apparently anyone who has one of these just loves it. At least that is what she said. 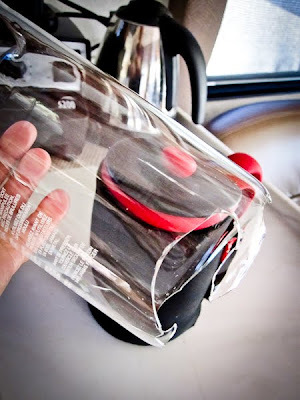 It isn't made of glass so that eliminates the breakage factor and it is much easier to clean. So we bought it and brought it home. And made coffee. It made great, smooth, rich coffee. I get coffee for breakfast tomorrow morning. I've always wanted to try a French Press to make coffee. I just might have to pick one up for our RV! Thanks for following A Camp Host Housewife's Meanderings. I hope you enjoy the journey with us. I like your new coffee contraption. Isn't it wonderful finding things that just go perfectly with our RV and with our lifestyle? Port Townsend? John and I lived in Port Townsend for four years and loved it. We had to leave because we had to find gainful employment and could not find good work there.